How to Try Out the Injection Mold? Home » "How To" » How to Try Out the Injection Mold? 1. Learn about the relevant information of mold. It is best to have the 3D or 2D design imagines of the mold, analyze it in detail, and get the mold technician to participate in the mold trail work. 2. First check its mechanical cooperation on the workbench. Attention should be paid to whether there are scratches, missing parts, and looseness. Check if the die plate movement is correct and whether the water pipe and air pipe joints are leaky. If there is a limit to the die opening, mark it on the die. If the above action can be done before hanging the mold, which can avoid finding the problems when hanging the mold and then removing the mold, which causes the man-hour waste. What is the maximum injection volume of injection molding machines? Whether the internal size of pull rod is enough to place the mold? Whether the maximum movement schedule of the movable template meets the requirements? Whether other related tools and accessories for mold trail are fully prepared. After confirming everything have no problem, the next step is to hang the mold. When hanging, pay attention to that all the clamping plate on the lock and the hanging fish can't be got off, which avoiding clamping mold plate loose or break,so that make the mold drop. After the mold is installed, check carefully the mechanical action of each part of the mold, such as skateboard, thimbles, tooth structure and limit switch.Pay attention to whether the nozzle and feed mouth are aligned. The next step is to pay attention to the action of the compound die. At this time, the mode pressure should be lowered. In the compound die action of manual and low-speed, pay attention to see and hear whether there is any unsmooth movement and abnormal sound. 4. Increase the injection mold temperature. According to the performance of the raw material and the size of the mold, choose the appropriate mold temperature control machine to increase the mold temperature up to the required temperature of production. Check one more time the action of each part after mold temperature is increased. Because the steel may cause the phenomenon of card mold after thermal expansion, it is necessary to pay attention to the sliding of each part, so as to avoid tension and vibration. 5. If there is no experimental planning law in the factory, we suggest that only one condition can be adjusted at a time when adjusting the test mode condition, so as to distinguish the effect of the change of single condition on the finished product. 6. According to the different raw materials, do moderate baking for adopted raw material. 7. Try to use the same raw material as possible when try mold and do mass production. 8. Don’t only try the mold, if there is color requirement, can arrange to test color at the same time. 9. Internal force and other problems often affect the secondary processing, so adjust the closing mold pressure and have several times of movement after mold trail and forming products is stable, to see if there is no clamping pressure inequality,so as to avoid burrs and mold deformation. After the above steps are checked,lower the closing mold speed and pressure, and the safety buckle and the ejection stroke are set, and then the normal closing mold and the closing mold speed are adjusted. If related to the limit switch of maximum stroke,the mold opening stroke should be adjusted to be short, and the high-speed mold opening action should be cut before the maximum stroke of this mold opening. This is because in the entire mold opening stroke during the mold loading, the high-speed stroke is longer than the low-speed stroke. The mechanical ejector rod on the plastic machine must also be adjusted to act after full-speed mold-opening action,which avoid the deformation of ejector plate or stripper plate due to force. Whether the feeding trip too long or short? Whether the pressure too high or low? Whether filling speed too fast or slow? Whether processing cycle too long or short? To prevent short shots, fractures, deformations, burrs, and even mold damage. If the processing cycle is too short, the thimble will top the finished product or peel the ring to crush the finished product. This type of situation may take you two or three hours to remove the finished product. If the processing cycle is too long, the weak part of the mold core may be broken due to shrinkage of the rubber material. Of course, you cannot expect any problems that may occur during the trial process, but full consideration and timely measures will help you avoid serious and costly losses. II How to try out the injection mold? In order to avoid unnecessary waste of time and trouble, it is indeed necessary to pay patience to adjust and control various processing conditions, and to find the best temperature and pressure conditions, and to formulate standard test procedures, which can be used to establish Daily work methods. 2. The cleaning of the feed pipe should be thorough so as to prevent the plastic material or miscellaneous materials from being injected into the mold, because the mold will be stuck by the plastic material and miscellaneous materials. Check whether the temperature of the feed pipe and the temperature of the mold are suitable for the processed raw materials. 3. Adjust the pressure and shot volume to produce a finished product with satisfactory appearance, but can't produce burrs, especially under the circumstance that some cavity products have not yet completely solidified. So consider before adjusting the various control conditions, because the slight changes of filling rate may cause very large changes in the model. 4. Wait patiently until the conditions of the machine and the mold are stabilized, that is, the medium-sized machine may also have to wait for more than 30 minutes. And view possible problems with the finished product during this period. 5. The advancement time of the screw can’t be shorter than the solidification time of the gate plastic, otherwise the weight of the finished product will be reduced to impair the performance of the finished product. And when the mold is heated, the advance time of screw needs to be lengthened in order to compact the finished product. 6. Reasonably adjust and reduce the total processing cycle. Whether the size of forming products stable? Is there a tendency for some sizes to increase or decrease and show that the machining conditions are still changing, such as poor temperature control or hydraulic control? Whether the change in size is within the tolerance range? 10. If the dimensions of finished product have no changes and the processing conditions are also normal, it is necessary to observe whether the quality of the finished product of each cavity is acceptable, and its size can be within the allowable tolerance. Record the number of the cavities that are continuous or large or smaller than average, to check if the dimensions of the mold are correct. Record and analyze data which is used for the need of modifying molds and production conditions, and providing reference for future volume production. 1. Make the processing time longer to stabilize the melt temperature and hydraulic oil temperature. 2. Adjust the machine conditions based the size of forming products, if the shrinkage rate is too high and the finished product appears to be insufficient, the gate size can be increased. 3. The size of each cavity is oversized or undersized should be corrected. If the cavity and doorway dimensions are matched, then the machine conditions such as mold filling rate, mold temperature, and pressure of each part, etc should be changed, and check to see if some mold cavity is filling slower. 4. 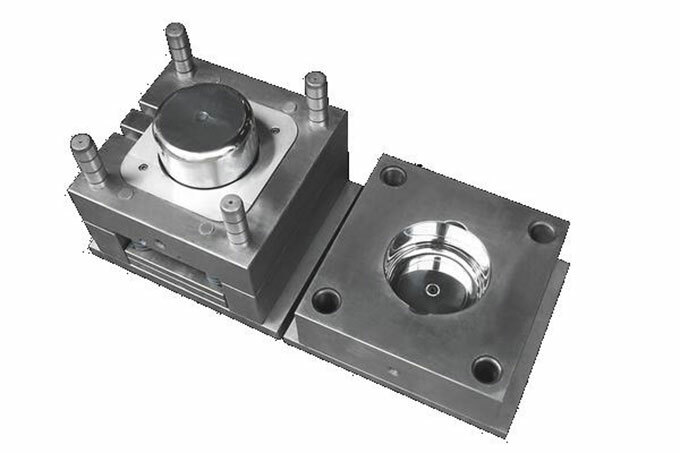 Correct individually according to the situation of the cooperation of each mold cavity forming products or the mold core shift, and can adjust the mold filling rate and mold temperature to improve its uniformity. 5. Inspect and modify the malfunction of injection machine, such as oil pumps, oil valves, temperature controllers, etc., can cause changes in processing conditions. Even a perfect mold can not play a good work efficiency in poorly maintained machines. 6. After reviewing all recorded values, retain a set of samples in order to check if the corrected samples have improved. 7. Safekeeping of all records of sample inspections during the trial molding process, including various pressures in the processing cycle, melt and mold temperature, feed pipe temperature, injection action time, screw feed time, etc. In short, all the data that will be used for establishing the same processing conditions should be preserved, in order to obtain products that meet quality standards. At present, the mold temperature is often neglected during the test of the mold, and the mold temperature is the least easy to grasp in the short-term mold test and future mass production. The incorrect mold temperature can affect the size, brightness, shrinkage, rhythm and under-charging of the sample. 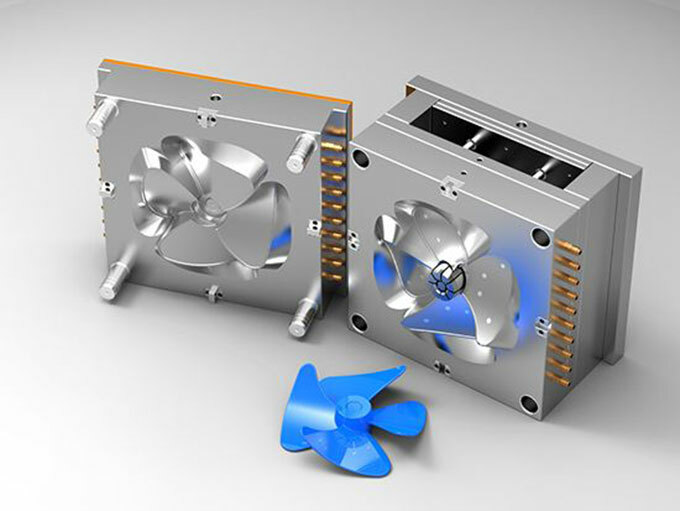 If you do not use a mold temperature controller to grasp, the difficulties will occur in the future’s mass production.